There has been a popular post making its rounds on Facebook. 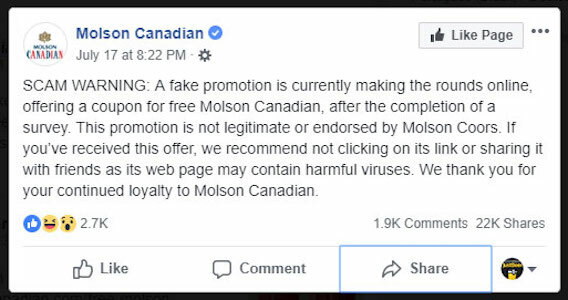 The post is claiming to be from Molson Coors and advertising that “Molson is providing free 24 pack of Molson Canadian Beer to all on its 200th Anniversary!” Seems like a dream come true, eh? Unfortunately when the ad is clicked, the link directs you to www.molson-com.win, which is not Molson Coors official website. If you do see this ad on social media, do not click! The web page most likely contains viruses. Still don’t believe it’s a scam? We get it… we were hoping for free beer too! 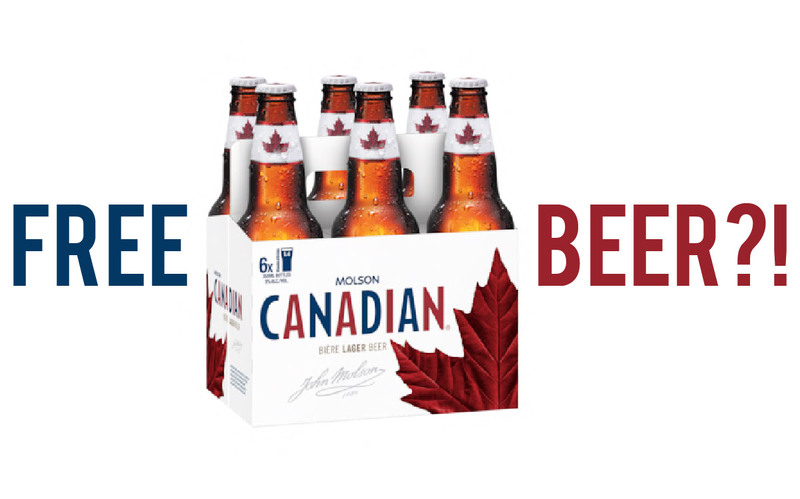 The advertisement claims that this is a celebration of Molson Canadian’s “200th anniversary”. The Molson Brewery was formed in 1786 and Molson Canadian beer was introduced in 1959. These scammers are 59 years too early! What is the Jasper Beer & Barley Summit?